December 3, 2018 (Cleveland, OHIO) -- As part of the NFL's #MyCauseMyCleats campaign, Cleveland Browns Offensive Lineman Greg Robinson has selected Recovery Resources as his charitable cause. 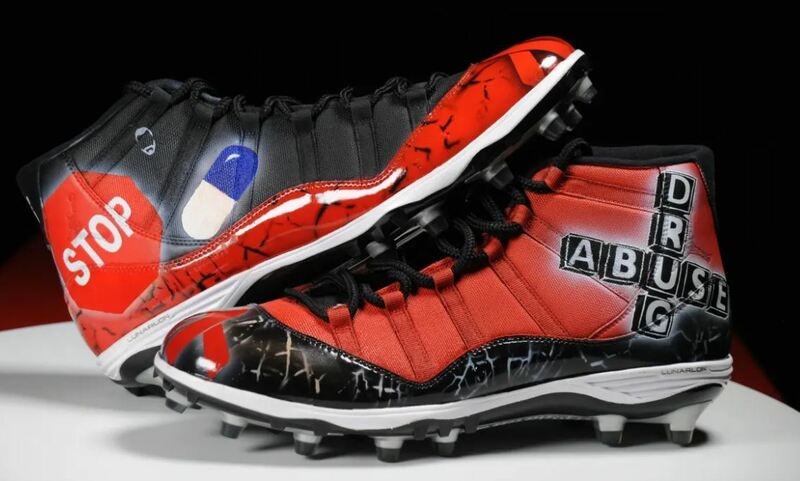 Robinson designed the pictured cleats, which say "Stop Drug Abuse", to reflect the opioid crisis. He wore them at last week's game against the Texans, and will wear them one last time during the December 9th game at home against the Panthers. NFL will then auction these cleats off on their website with proceeds benefiting Recovery Resources. We are extremely grateful to Greg Robinson for this incredible honor, and wish him and the Browns the best of luck the rest of the season.